June 1st marks the official launch of FotoZA’s Gallery and Coffee shop. We are aiming to be South Africa’s biggest fine art photographic gallery. We recognize that the world is changing every day in terms of culture, tastes, values and art and this is all too true in the photographic industry where, thanks to the advent of digital cameras, we have seen an explosion in the number of photos being taken and shared online every day. Instagram alone has over 400 million active daily users with almost 90% of those being under the age of 35. Those 400 million active daily users are sharing on average 80 million photos a day to Instagram alone. With the sheer number of photos being shared, it has become common place to hear people bemoaning the state of the photographic industry where photographs are no longer considered art as people dismiss the current generation of photographers as being ‘lesser’ to those of previous generations because they share en masse. We at FotoZA would like to challenge that perception and show that even though images are being shared online to a ‘mass’ medium rather than an exclusive one, that does not make them any less worthy of being labelled as ‘art’. 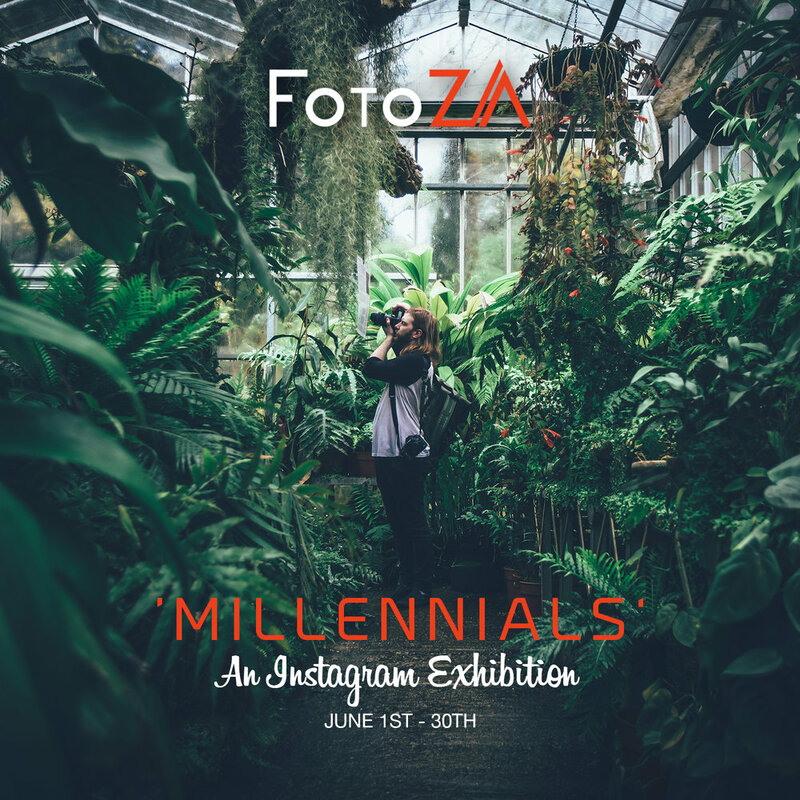 As such we are proud to present ‘MILLENNIALS’ An Instagram Exhibition by FotoZA. ‘MILLENNIALS’ is an exhibition showcasing work by the new generation of photographers, the Millennials, with the aim of challenging perceptions of the current photographic industry by providing a platform for local, South African photographers who use Instagram as a platform for sharing their work. They will have the opportunity to display their images in a gallery setting and help break the stigma that surrounds photographers who use Instagram. The exhibition coincides with the opening of the FotoZA Gallery and Coffee Shop, which we feel is a perfect synergy, because as trends have changed, there is an increasing number of photographers who are looking to work remotely. To meet that need we have created the perfect work space in the coffee shop where photographers can bring clients for meetings, sit and edit photographs from their shoots, admire the photographic artwork currently on display, hang out with fellow photographers and plan the next big ‘thing’ in the industry all while drinking cups of our delicious coffee made by our expert baristas. Opening Night: Thursday, 1st June, 18:00, in the gallery.